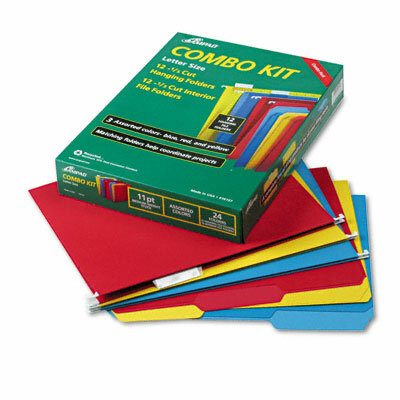 All-in-one kit with twelve 1/5-cut hanging file folders and twelve 1/3-cut interior top tab file folders. Everything you need to set up a color-coded hanging file system. Convenient, all-in-one kit with 12, 1/5 cut hanging file folders and 12, 1/3 cut interior top tab file folders. Four each of blue, red and yellow hanging and interior files.